The festival may not have gone down without a hitch (I'd call cancelling Sunday aka Kanye Day due to impending weather that never came a bit of a hitch), let's not forget that there were two full days of music at the 2016 Governors Ball before the cancellation knell rang. While we were all drowning in our tears over losing the opportunity to see Kanye West debut his The Life of Pablo tour at Randall's Island Park (or Death Cab For Cutie, who was playing opposite the beloved artist at the New York festival), we should have been focusing on the other artists who did get to shine before the cold hand of potential lightning and thunder storms ruined our summer fun. But for those who didn't attend the festival or weather the weather, Governors Ball helps to serve as a little sampler of the artist to look out for on tour the rest of the summer. Even without Sunday, there are a few standout performers that I'd suggest seeking out next time they take the stage — even if you have to travel to another summer festival to find them. Trust me, these folks are worth it. 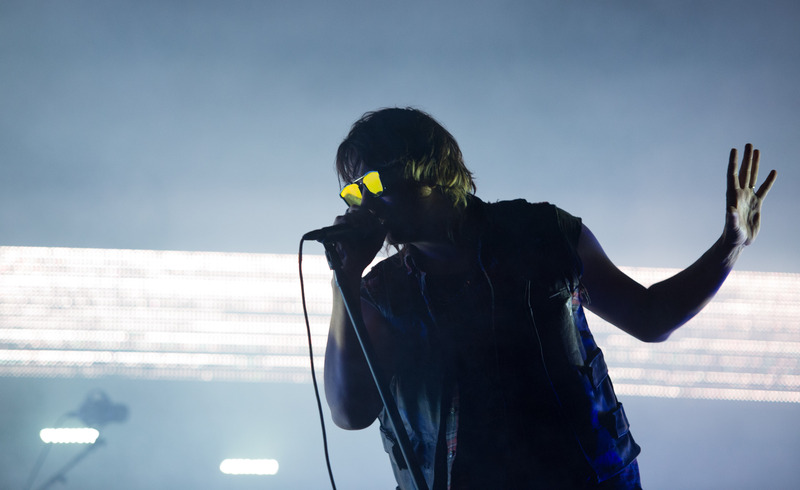 This is the band that every longtime fan can hold up to say that, even in their young age and era of constant misjudgement, they at least had good sense enough to love Julian Casablancas and crew. The beloved group played songs off their new EP, but weaved them in perfectly with all their old hits in a perfect Friday night set that had fans absolutely eating out of their hands. This duo's music is dreamy as hell, so it's basically perfect for a festival. And while they played my least favorite stage (the covered Bacardi Tent, which to me, always feels a little claustrophobic) I really can't complain. Alright, so these ladies are an obvious choice, but the way they kept playing on with the same impeccable energy, even when torrential rain started pouring down moments into their Sunday set, was completely invigorating. Oh, and their Prince cover of "I Would Die 4 U" didn't hurt. I will be the first to admit that I did not grow up listening to this beloved punk band, but that's the beauty of music festivals: you get to try out music that isn't normally in your wheelhouse. To boot, when lead singer Laura Jane Grace, who came out as transgender in 2012, told a story about being mistreated by a man who demanded to know her gender, the crowd roared in support of her, making for an incredibly moving moment in a long weekend of moments. And oh yeah, they're absolutely fantastic live. Yes, this is a "duh" pick, but I was genuinely taken aback by how great this man is live. He also did a Prince cover, preceded by a David Bowie one, so that definitely won me over, heart and soul. OK, this is cheating, because Barnett technically didn't play Gov Ball since she was slated to play on the aforementioned Sunday. However, she did hold a pop up show at Rough Trade in Brooklyn to replace her set and this woman is an absolute experience live and it just makes me giddy to know that artists like her can absolutely draw crowds.